There's been an dramatic rise, an explosion almost, in the number of cyclocross riders willing to pit themselves against their friends and the devious inventiveness of the course designers. In years gone by, the season was all but over by Christmas with only the cultish Dig In at the Dock to blow away the New Year cobwebs. Times have changed though…there are still 12 races to go, all in the New Year. Recently we saw the launching of the Super Quaich Series, a points-counting, prize-giving set of races including Rouken Glen CX, Doonbank, a new event at Beveridge Park in Kirkcaldy and the famous DIATD. These events sold out within hours of their entries opening. While the Super Quaich was well trailed, out of nowhere it seems we suddenly heard of another series of 'cross races. 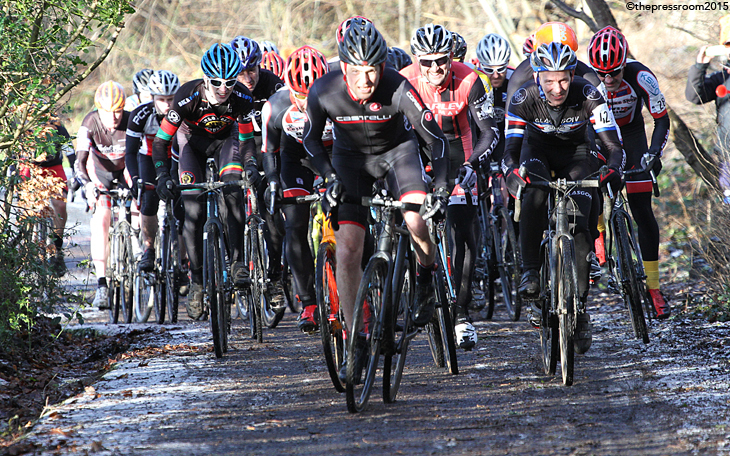 The South Lanarkshire CX Series was announced and entries were opened. It came as a surprise to most of the cx community so just who is behind this series and what's it all about? We were contacted by one of the organisers of the series and it was a pleasant surprise to find that he is a well known figure in both Scottish and British cycling…in fact, he's a current Scottish National Champion! Peter Murdoch is one of the men at the helm of a new company that is set to promote grassroots cycle racing in Scotland. His business partner in this venture is Ricky Sutherland, also well known in the Scottish cycling community. Pete explained their vision in a call from Spain and while they're keen to avoid the current political situation with breakaway groups, leagues and organisations they feel that there is a void at club level for riders who want to race but may never wish to, or be capable of, progressing through the ranks towards an elite career. They just want to get bums on saddles and get races back on the agenda across the board. To this end they have made some great contacts with the powers that be at South Lanarkshire Council and they are keen to help and be involved. Pedro and Von, as most people know them, want to get back to a much simpler style of race promotion and organisation…a model which is still popular in France and Spain and which sees very large participation, week in, week out. Ideally, in most events, there would be just two races: one for women and vets together and an open event for everyone else. Now that might go against current thinking from some quarters where riders are pitted against others of similar age or ability but the guys believe that riders need to push themselves, and be pushed, if they're to get the most out of the race experience. This simplified model would take in everyone from youths right through to vets and they have a vision which is something along the lines of the old Super Six Series. 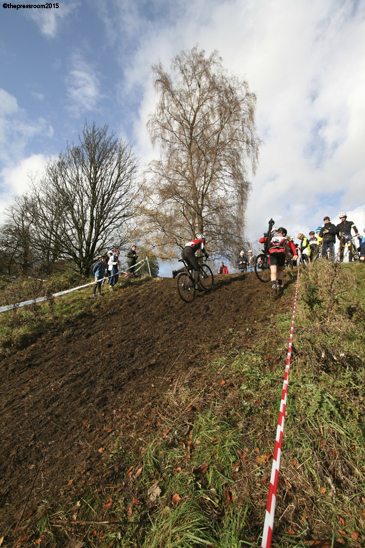 This brought us on to the question of cyclocross and the rather sudden appearance of the South Lanarkshire CX Series. Pete explained that they have made some really positive contacts within South Lanarkshire Council and that they're really keen to be involved, offering lots of help along the way and at upcoming events. To this end, they offered the use of several landmark locations such as Chatelherault Country Park in Hamilton. Later in the year these locations get very busy so some early dates were mentioned and Peter and Ricky decided, although it doesn't leave a lot of time for organisation, it would be a missed opportunity to pass up on this early chance to show the council what they can do. This is why the Series seems to have come out of nowhere but with some very familiar faces working with Pete we can be sure of a successful set of events, and more to come. So, all that's needed now is for these events to sell out and the community to get behind the races. A lot of riders missed out on entry to the Super Quaich so getting involved in these would seem like the obvious thing to do. There will also be races for the Under 12's and Juniors at each event. For the 'cross junkies out there, that's four more events in which to race and takes the season through to March next year! We'll be having a longer chat with Pete and Ricky after the holidays but in the meantime you'll find the entry links to each of the four events below. Get entering and we'll see you there! For all the info' on the Series and how it works click through to the Facebook page and give it a like.